Ghislain Richter is a partner Accuracy. Ghislain started his career in 2004 as a credit analyst before moving to providing business advisory services. In 2007, he joined Deloitte Finance’s transaction support department in Paris, where he led several engagements for clients in the industrial, investment fund and banking industries. 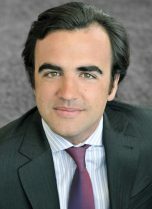 In 2011, Ghislain joined Accuracy in Paris, where he specialized in financial advisory engagements, more specifically as concerns reviews of management/monitoring tools/processes, buy-side and sell-side due diligence, financial diagnosis, valuation and litigation in highly technical industries such as financial services, health, infrastructure, defence and agro-business. Since 2014, Ghislain has been in charge of the Accuracy’s business financial advisory activities in Canada. Ghislain speaks French and English. Transaction advisory: buy-side financial due diligence, vendor due diligence and vendor assistance and business plan preparation. Litigation support: Analysis and assistance to the negotiation of price adjustment clauses following purchases or disposals (price adjustments in relation to working capital level, restated net debt, etc.). Financial diagnostic: Internal diagnostic following a strong decrease in profitability, KPI’s identification and dashboard development. Ghislain has a broad experience, but has particular expertise in providing support to the following sectors: Aerospace & defence; Infrastructure; Financial services; Retail; Manufacturing; and Agri-food. Vendor due diligence on a French financial institution specializing in SME financing. Strategic and financial due diligence on a large credit institution specializing in the mortgage. Buy-side due diligence for a private equity on its successful acquisition of a fashion company. Vendor due diligence and business plan preparation for the carve-out of a Business Unit owned by a leading European company in aerospace, defence and security. Several buy-side due diligence for a large French MNC for the acquisition of private data security and big data analytics companies. Several business plan preparations in a context of joint venture between two European leaders in aerospace, defence and security. Vendor due diligence in the military vehicle manufacturing industry. Vendor due diligence on a leading French producer of cooked hams and deli meats. Financial diagnostic in the context of a $1 billion US investment in an aeronautic program.